Rehabilitation of saline soil is crucial because large areas of the world have saline soils or are subjected to encroaching salinity. Increased organic matter levels and reactivated microbial activity either as free-living organisms or in association with plant roots may improve the quality of saline soils. Arbuscular mycorrhizal (AM) fungi have been considered as bio-ameliorators of saline soil because they can enhance plant tolerance to salinity. However, the combination of AM fungi and organic matter for managing saline soil may have even greater benefits. Most studies have examined single effects of AM fungi in relation to salinity. 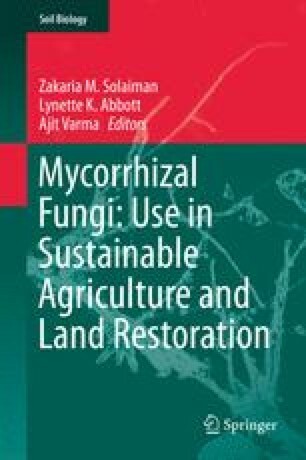 This review examines biological aspects of rehabilitation of saline soil and considers possible synergistic effects of organic matter and AM fungi.